Laguladon means explore! The long wait is over. Despite of the on and off weather on some parts in Visayas, our trip had been an ultimate discoveries and adventures. 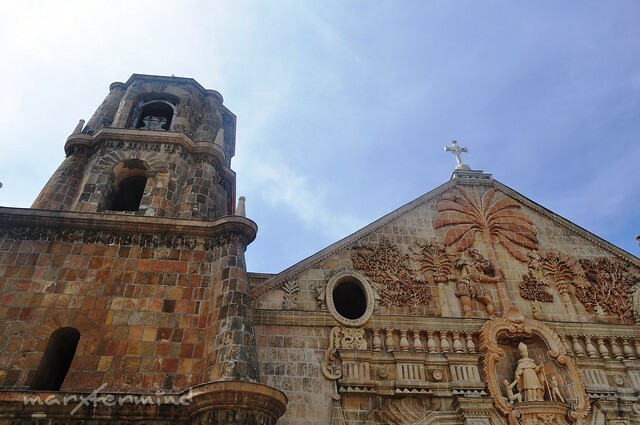 And to start our Laguladon Western Visayas trip, let’s visit the churches of Iloilo. The trip is supposed to be my solo trip but after I created an itinerary for this, parang di ko kayang magsolo sa lahat ng expenses. So I asked my friends if they want to come with me. So some did. Since we booked a Manila – Bacolod round trip ticket, we need to ride a fast ferry going to Iloilo. (Tip: Before to book a flight, consider the provinces nearby that you might visit as well. We should have booked Manila to Iloilo and Bacolod to Manila flight – less hassle, more time to travel). Anyways, we arrived at New Bacolod Silay Airport at around 6:00 AM. It was cold outside, perhaps because of the morning breeze. From the airport, we rode a tricycle outside the airport gate going to the highway, and from there we rode a L300 van going to the 27th street. (We don’t have a choice but to ride on the van since it’s raining). And from the 27th street, we rode a jeepney going to SM, then a tricycle going to the port. (You may ask the locals for directions, locals knows best). There are also van/shuttle from airport going to SM that costs PHP 120.00 / PHP 150.00. But our trip only cost PHP 55.00 all in all by commuting. We ate our breakfast first as we waited for the boarding time. And at 7:45 AM, we’re on-board to Iloilo. It was approximately an hour going to Iloilo from Bacolod. As soon as we reached Iloilo, Jessa, my friend texted her friend, Darl. Darl booked a ticket going to Iloilo. And we’ll meet her at Molo Church. When we arrived at the place, hinanap muna namin si Darl, and yun na-meet na din. We went inside the church. We prayed and gave thanks to God. It was a peaceful church, indeed. The mass has just ended. It was not crowded unlike here in Manila. I like it, I can feel the serenity in the place. After a couple of minutes, we decided to go and move to our next destination, Miag-ao Church. When we went out, we knocked at the church’s door and made a wish. From Molo, there are jeepneys going to Miag-ao. The jeepney fare is PHP 45.00 and would take 45 minutes to an hour ride. After an hour of windy jeepney ride, we reached Miag-ao. It was a beautiful church. I was amazed of structure and how it looks like. Good thing there are no people around, we were able to take good pictures. Here are some of my photos taken inside. 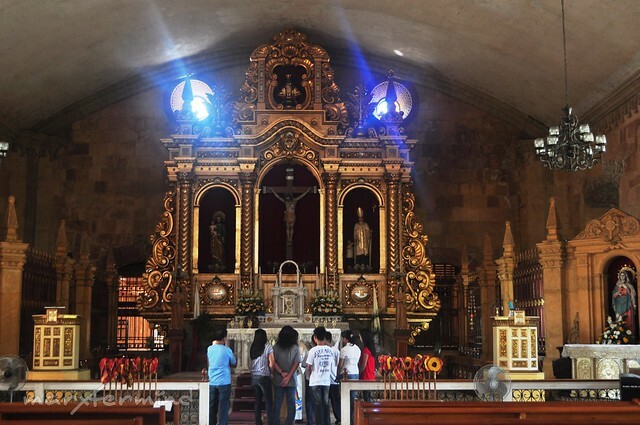 There are still beautiful and historical churches in Iloilo but Molo And Miag-ao are the only two that we visited. 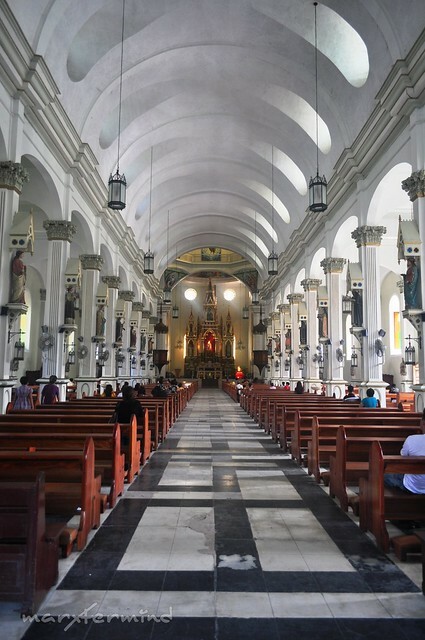 If there is only enough time to visit all the churches here, we will do but we need to go as we need to be at Iloilo City by noon time for lunch. Outside the church, just across the street where we alighted, there are jeeps going to Villa and from Villa Terminal we rode another jeep going to Robinson’s Iloilo. It was a bit faster going back ( approximately 45 minutes), and our jeep fare costs PHP 46.00 all in all. 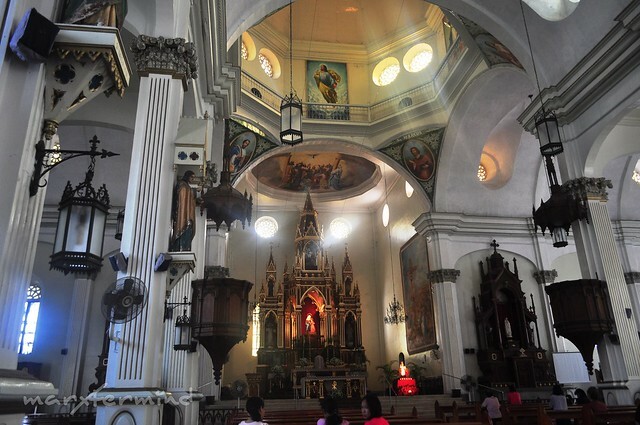 These churches from Iloilo are captivating. They are serene and undisturbed. I felt peace when I PRAYED! Much closer to God. @Ian, yes! Make it 1 1/2 hour travel time if you're coming either from the port or airport. Thanks for replying… I want to clarify, 1 hour travel time from Molo to Miag-ao? Hi Ian, I'm not sure though there are public vehicles from airport going to Molo then from Molo there are jeepney going to Miag-ao. 1 hour travel time. How far is Miag-ao from the city proper of Iloilo… any jeepneys ply directly to the church? Please advised how to get and out there, to and from city proper… we might visit it next month. Thank you. 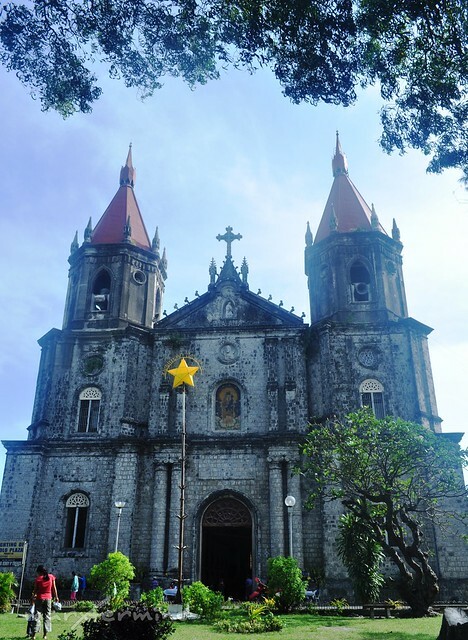 These are nice pictures of Miag-ao Church… I say nice pictures that I have seen captured in travel blogs which made it truly an architectural majesty. 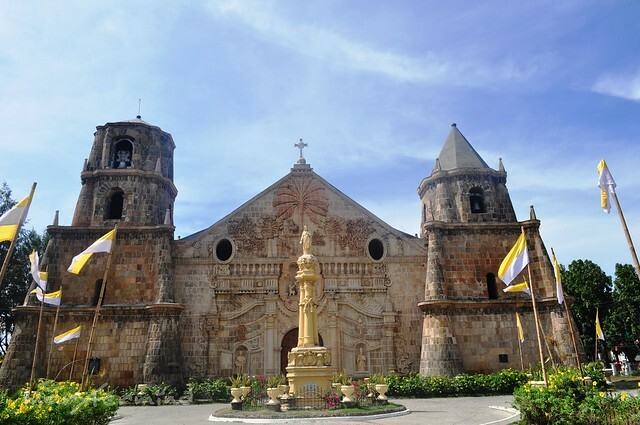 I'm really wondering what is the real tourism offer of Iloilo province and I figured that it is really its historical churches are its real places of interests. Visiting Iloilo is hitting 2 birds with one stone destionation as nearby Guimaras can be explored quickly. 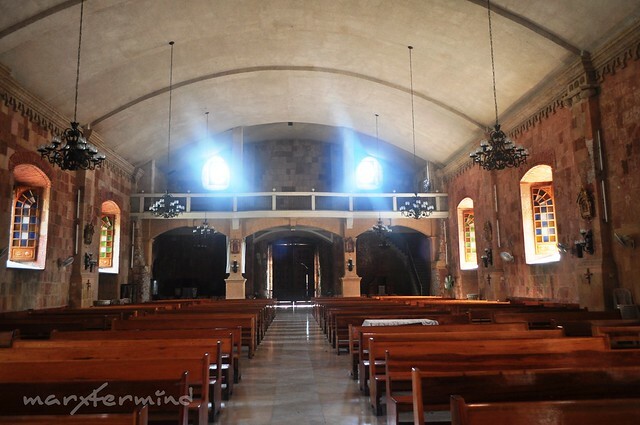 @thepinaysolobackpacker, yup… sayang we don't have enough time to visit some other churches in Iloilo. Sakto nga! Hahaha! Enjoy your next trip!